Resilience for water distribution systems is defined as the capability of restoring all operational functions and delivering safe drinking water in a fast manner after major disruptions. The challenge with resilience planning and design is to quantify and measure it for water supply systems. In order to improve systems’ resilience and take adaptation measures, first, we need to evaluate and understand the concept so that it could be incorporated into planning tools for water distribution systems. Although there are several resilience evaluation methods focusing on different dimensions (i.e., excess energy, robustness, and redundancy), there are no generic performance criteria and metrics to evaluate systems’ operational resilience in relation to structural properties after disruptions such as natural hazards, terrorist attacks and/or operational failures. The aim of this research is to evaluate the operational resilience of water distribution systems with different structural properties. The resilience will be evaluated for the entire water network using the time-depended performance criteria, which is selected for the water networks. The most critical locations using the time-depended flow entropy function will be identified. The overall systems’ resilience will be evaluated simulating disruption scenarios such as excess demand on these critical locations and observing the recovery of water networks (i.e., loop, branching). This approach will assist in assessing the consequences of different water management and design strategies for water infrastructure systems, which would assist authorities and decision makers in strategic plans as well as in enhancing the resilience of future water supply systems. Nazli Yonca Aydin is currently a postdoctoral researcher with the Future Resilient Systems programme at the at Singapore-ETH Centre, ETH Zurich. She is in the “Resilience Metrics and Outliers” research module and her research interests include disaster resilience, resilient water and transportation infrastructure, complex networks, decision support systems, and geographic information technologies. Nazli Yonca Aydin holds a Ph.D. from the University of Kaiserslautern, Germany in the Institute of Urban Water Management, Civil Engineering. 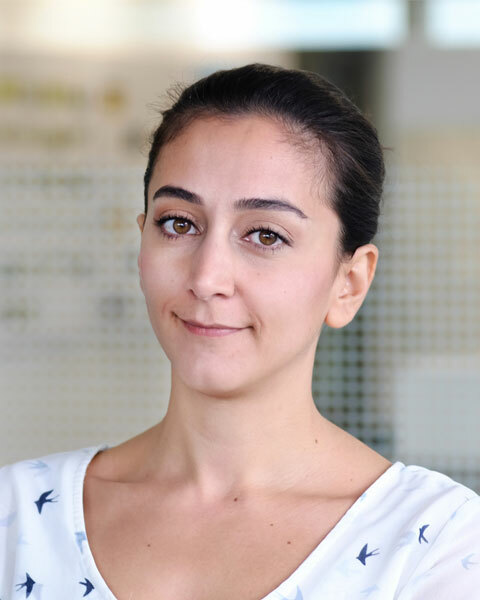 Bio: Nazli Yonca Aydin is currently a postdoctoral researcher with the Future Resilient Systems programme at the at Singapore-ETH Centre, ETH Zurich. She is in the “Resilience Metrics and Outliers” research module and her research interests include disaster resilience, resilient water and transportation infrastructure, complex networks, decision support systems, and geographic information technologies. Nazli Yonca Aydin holds a Ph.D. from the University of Kaiserslautern, Germany in the Institute of Urban Water Management, Civil Engineering.